difference will surprise you. You’ll just have to search for it.” (p.82-3). These are the consoling words of grandfather, Bee Fonseka, to his beloved Alice, in Roma Tearne’s richly textured novel Brixton Beach. 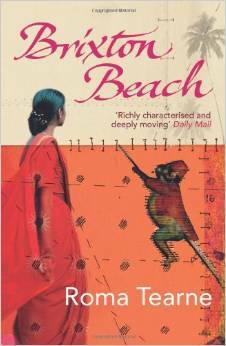 With her Sinhalese mother, the nine-year-old Alice is leaving Sri Lanka to join her Tamil father in 1960s London. They are migrating at a time when the island is imploding under the strain of yet another cycle of inter-communal violence. At times, the discordant plotlines faced by the characters in Brixton Beach have come uncomfortably close to my own migration story and its entanglements with a mixed heritage household. Despite moving to London when I was five, Sri Lanka remains an existential touchstone, a place etched deep into my being. So many small and random memories – warm rain, my grandmother’s house full of aunties, uncles and cousins, standing on a broom as my uncle polished red cement floors – have never left me and continue to surface. My ever-changing relationship to the island, from the wrench of being uprooted to the search for Bee Fonseka’s ‘different’ beauty in England, changed once again when my parents died in 1992. As I took part in death rituals I knew little about, listened to relatives and friends reminiscing and pored over family photos, my personal grief snagged on other losses. I began to search for contemporary writing and research on migration, death and bereavement – surely there must be others who have gone through this? I found very little and this absence bothered me. In 1995, I started a doctoral research in a London hospice, followed by a series of projects on migrants, illness, ageing and death. The research, which included oral history interviews, coincided with a broader historical shift – the ageing and dying of Britain’s cohort of post-war migrants. My book ‘Death and the Migrant’ documents this social transition and also records the narratives of those providing end of life care in hospices and in the community. Many who provide the care are migrants themselves. My more recent British Academy funded project ‘Case Stories’ has built on this work to create a digital archive of stories, images, poems and art on ‘social pain’ at the end of life; the pain of social exclusion and injury. At times of transnational dying, the mundane and the extraordinary, the local and the global flow into one another. For some individuals the sense of being an outsider or belonging elsewhere never leaves. After living in Britain for more than forty years, Dorothy asked to be buried at ‘home’ in Jamaica. She felt that the English earth was too cold for her final resting place. 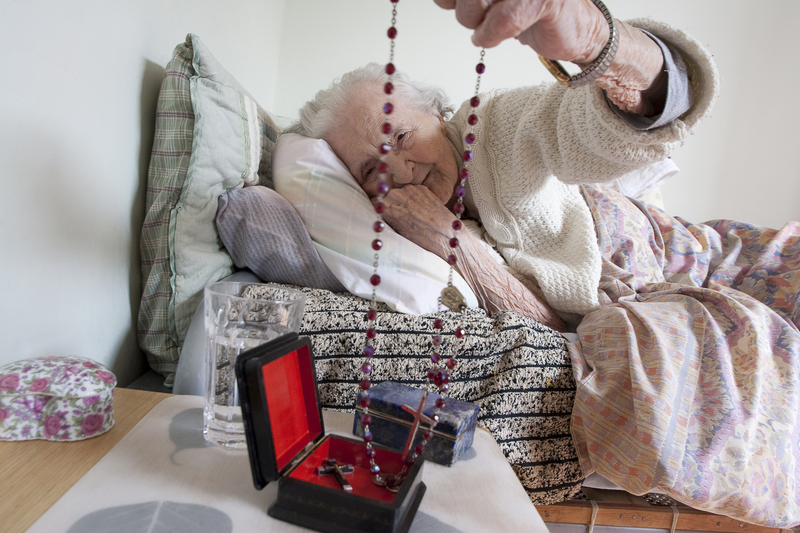 Dorothy told her nurse that she wanted to be surrounded by warmth and people who loved her. For refugees, death can be a posthumous homecoming or even an inventive lifeline for those they leave behind. Ibrahim felt that if he was buried in Ghana, his baby son might develop an enduring bond with the country, cultures and people. Others I have met are sculpting new traditions from different points of reference. Sanjay, a Hindu migrant from India, wanted his ashes to be scattered in a local park rather than in the Ganges. The South London park was a special place for him and he also wanted to spare his elderly father and family the long and expensive journey to India. 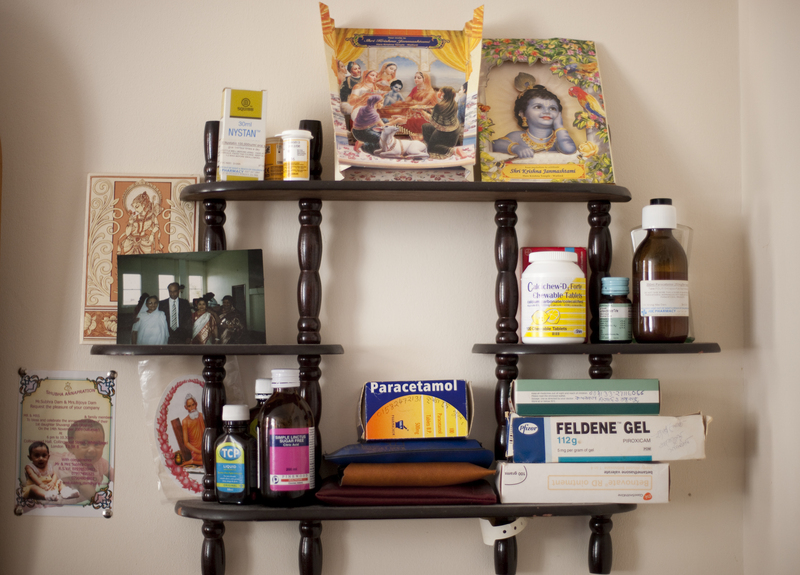 Illness, dying and bereavement can bring up and intensify profound questions about belonging and loss for migrants. Yet, as the writer John Berger has pointed out, the dying or infirm migrant is peripheral to Western imagination because of the unrelenting demand for healthy and young migrant labour. So part of my motivation in writing the book is to chip away at this repression. I have also wanted to contribute to conversations about the richness of migrant lives, the hurt and disappointments but also the reverie, the resourcefulness, that search for the surprising beauty of other differences. Yasmin Gunaratnam teaches in the Sociology department at Goldsmiths College (London). Death and the Migrant is published by Bloomsbury. For further details and to buy a copy visit: http://www.bloomsbury.com/uk/death-and-the-migrant-9781472515339/. Also see Yasmin’s short film about Transnational Dying in collaboration with Tamasha Theatre Company. You can follow Yasmin on Twitter @YasminGun.